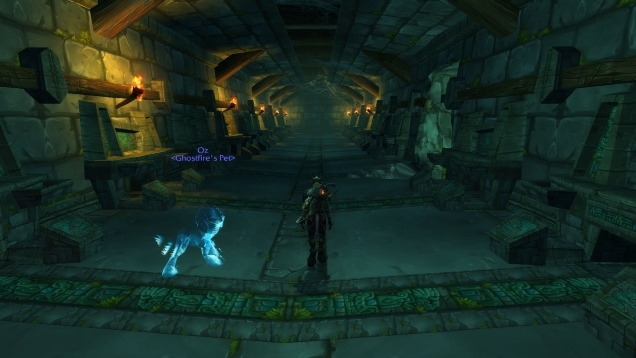 A few days ago was the day I’ve been most looking forward to in this trip: Catacombs day. 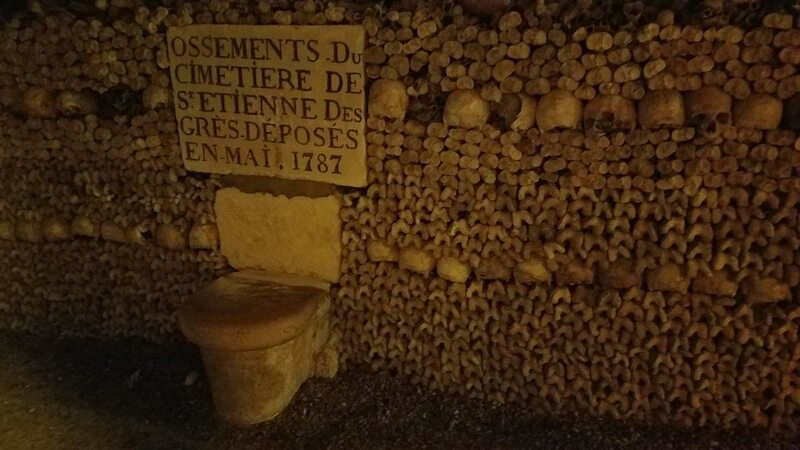 The Catacombes de Paris, located in a former sandstone mine that supplied stone for many of the older buildings in the city, is the home to the remains of over 6,000,000 people. The bodies were removed from their original places of rest throughout the city and relocated, in a process that took more than 3 years. 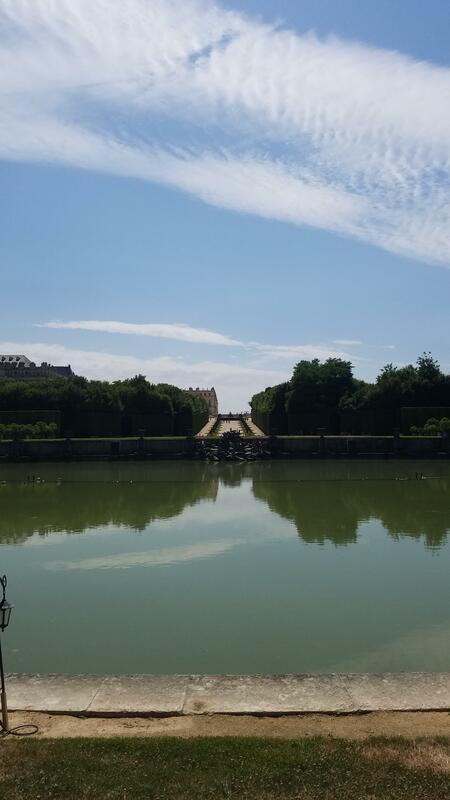 Almost immediately afterwards, the place became a major tourist attraction; almost like haunted houses today. 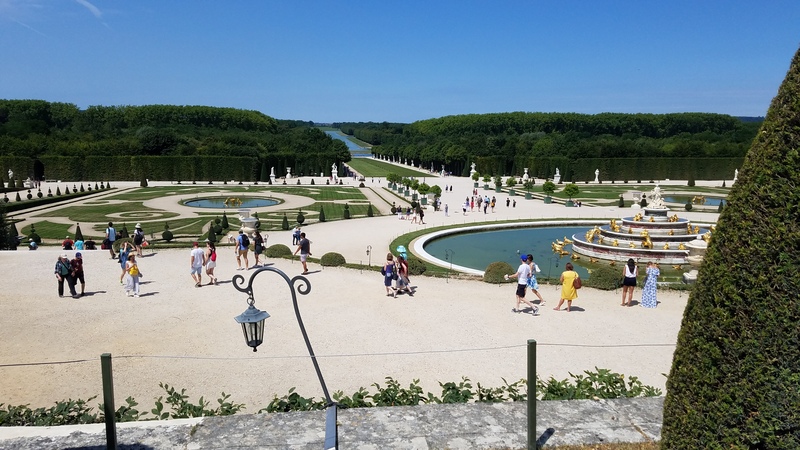 Initially it was only accessible to the wealthy and influential Parisians, but today even American plebeians like myself can experience it! Clearly my expectations were off. 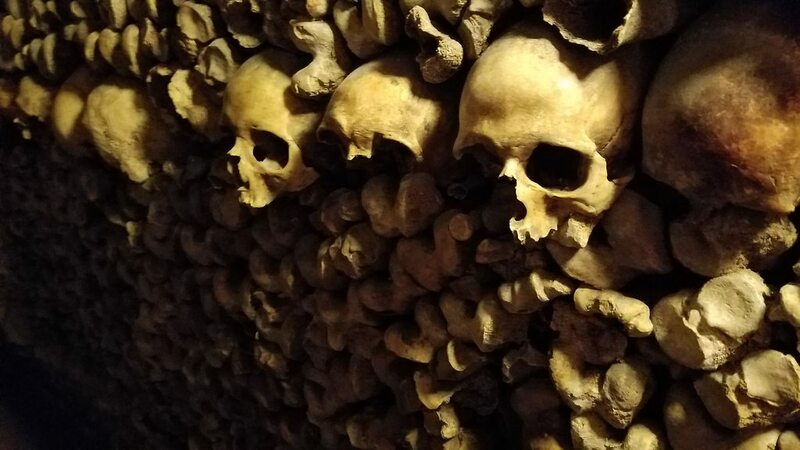 Turns out, the vast majority of the people interred in the catacombs here in Paris didn’t even have the wealth to keep their bones in one place after they died. Instead, here the bones are arranged by type, without thought to who owned them. Femurs and skulls are arranged in artful rows, almost like the belt courses on the buildings stories above. One last comment to make about the catacombs, however, is that it is an amazing example of adaptive reuse. Once the mine was decommissioned, this massive space could easily have lain unused and empty underneath the city for centuries. Now it’s the final resting place for millions of Parisians and a source of income and tourism for the city. I have clinical depression. I take good meds for it so I don’t normally show major symptoms. However, every now and then I still get what I call “the sads.” Basically I become more fatigued, more irritable, and more anxious. It’s a great combination. Yesterday I woke up with a serious case of the sads. 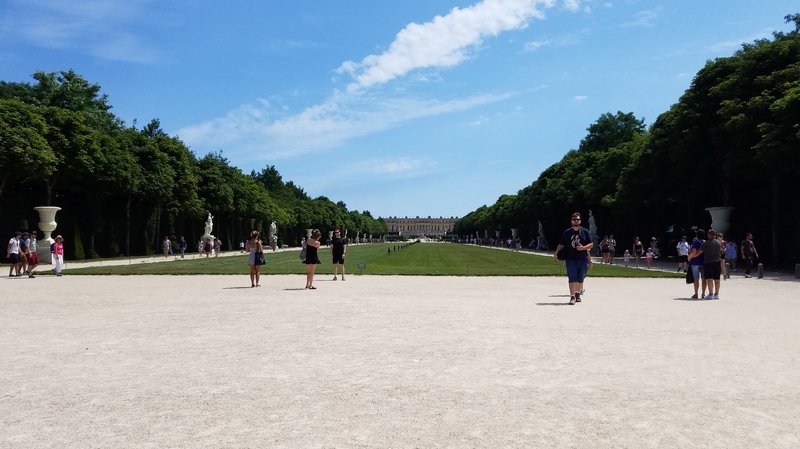 It was about 2pm (Paris time), and my roommate was on the way out the door for a shopping excursion with a few of our classmates. I was alone. But I wasn’t just alone: I was lonely. I felt starved for intellectual and social interaction. I felt like I was undesirable and nobody would want to be with me anyway. I felt like I didn’t matter. None of this is new, of course, as anyone else with depression and anxiety can tell you. But that doesn’t make the feelings any less significant. It’s fortunate that exercise – like walking – does neat things to your brain; thanks endorphins! Similarly, chatting with friendly shopkeepers diminishes feelings of isolation, worthlessness, and social deprivation. I had a genuinely good time out shopping by myself, and even found a few of the things that were on my list! I’m still not sure what brought on my sads, and I’m not entirely sure what cured them. I’m just glad they’re gone, and I got a good adventure out of the mix.